Ah, c'mon, Slinger. 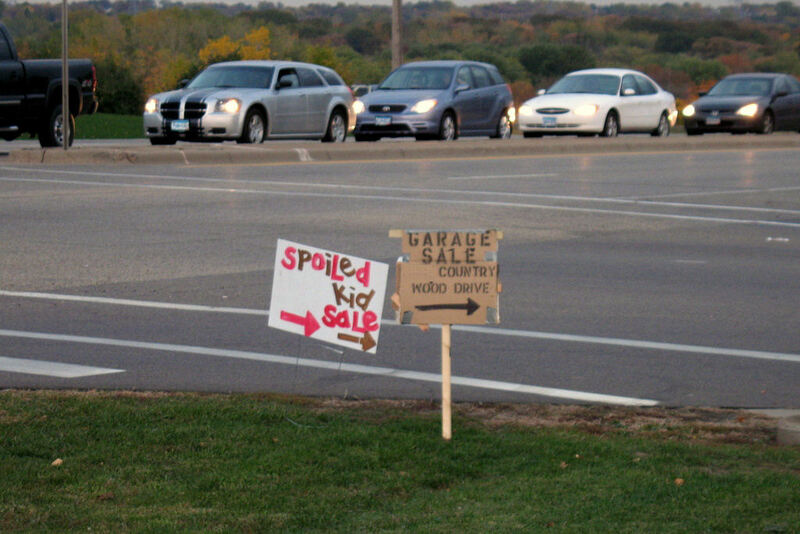 You just can't pass up a garage sale! Good capture. bet you could have picked up a lot of video games, cheap. Kudos to you for turning around and getting a shot! Thats too funny! LOL. I should put one of those up in front of my house to recover at least part of that $280 cell phone bill from last month.